Coupon Description: Williams Brewing is offering a promo code right now that will get you a FREE Hop Spider & Free Wort Chiller With This WilliamsBrewing.com Coupon. Make sure that you enter the WilliamsBrewing.com promo code SPIDER at checkout. The Robobrew is an electric, stainless steel home brewery with a built in pump with an on off switch. 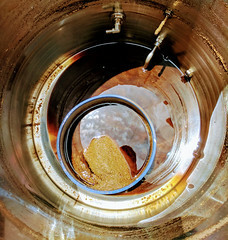 The Robobrew also has a false bottom and grain pipe to both protect the pump from clogging, and hold the crushed grain above the bottom for good wort circulation. The Robo Brew home brewing system holds 9 gallons and is perfect for 5-6 gallon beer batches. The grain pipe holds an enormous 18 pounds of crushed malt, and a pipe with silicone hose on top feeds the recirculated wort from the pump evenly on top of the grain bed. Sale Description: Would you like to save $200 on a new GrainFather Connect home brewing system? Do you also want free shipping? Now is your chance! The Grainfather is an all inclusive all grain home beer brewing system. The Grain Father home brewing system allows you to mash at high extract efficiency by utilizing a pump for easy recirculating of the wort through the mashing process. The grain bed is then easy raised out of the kettle to provide for sparging and draining of the grains. Your mash tun then becomes an electric boil kettle. The mash temperature and boil are all controlled precisely with an electric heating element. The system comes with a digital temperature controller so you can adjust temperature of your mash with in a degree. This allows for step mashing. The included pump allows for easy recirculating of your wort during the mash as well as allows for quick cooling at the end of the boil by allowing you to pump through the included counter flow wort chiller. This whole 8 gallon system is extremely compact so it makes for easy indoor or outdoor brewing. Delayed Heating – wake up to waiting strike water and get brewing! 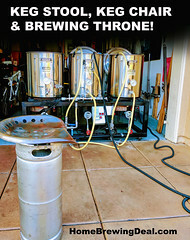 Coupon Description: At Williams Brewing you can Save $200 On A GrainFather Connect and to top things off Get A FREE Hop Spider if you act now. To help you enjoy your new GrainFather homebrew, enter promo code FREEPAIR at check out and they will even throw in 2 free pint glasses! This Grain Father promo code expires on Sunday or until it sells out, so act now if you want to take advantage of this limited time homebrewing deal! The Grainfather, is a all in one home beer brewing system that turns malts and grains in to beer! The Grain Father home beer brewing system is built from high quality 304 grade stainless steel The Grain Father is an electric home brewing system and designed to be used indoors. There are no need for propane or natural gas burners with the GrainFather or even hot plates for that matter. Just plug the GrainFather in and start brewing beer. It is fitted with a controlled heating element so that the correct power can be used depending on what stage of the brewing process you are at. A gentler heat is used at certain stages for accurate temperature control and and to minimise the risk of scorching and after the mash it can also ramp up the heat quickly for when more vigorous heating is required. Heating from mash to boil takes as little as 20 minutes. The Grain Father control box has Bluetooth functionality and can connect right to your mobile device so it can be controlled remotely. This allows you to multitask or simply relax while brewing and then be alerted when to return to your next step. 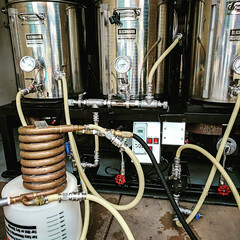 The Grain Father home brewing system features a 6 Watt 1,800 RPM magnetic drive powered pump has been fitted to recirculate the wort through the grain bed. This is also used during the cooling stage to pump hot wort through the wort chiller. The pump also makes the cleaning process quick and easy by pumping the cleaning detergent through all the pipe work. The magnetic drive pump has been selected after rigorous testing of multiple pump styles to ensure it meets the tough demands required of continuous brewing. The pump is concealed by a stainless pump cover, which is easy to pop open, giving you direct access. A pump filter is fitted inside the Grainfather to prevent hops and stray grain from entering the pump or pipework, keeping the wort clear while also preventing any blockages. A stainless steel expandable grain basket allows you to brew with anything from 4.5 – 9 kg of grain. The fitted perforated plates and telescopic pipework allow you to easily adjust the size of the grain basket to suit the size of grain bill. Fit the Micro Pipework (sold separately) for grain bills below 4.5 kg. When ready for sparging, a basket lifting handle is then inserted into the grain basket to lift it up, out of the wort. A 45 degree turn then allows the grain basket’s feet to rest on the specially designed support ring to allow the grain basket to drain while you can batch sparge over the top. A Sparge Water Heater can be purchased additionally to heat your water to the specific temperature required. A counter flow wort chiller is even included with the Grain Father home brewery. It has two connection points. One side is connected to the Grain Father, while the other is connected to the cold tap water. The hot wort is then pumped through copper inner coil while the cold water is pumped through the outer in the opposite direction, providing instant cooling and heat exchange. The cooled wort can then be pumped directly into your clean, sterile fermenter. This reduces the chance of contamination as nothing is inserted in the wort, and it is only passing through the wort chiller one single time, going straight to the sterile fermenter where the yeast is added. 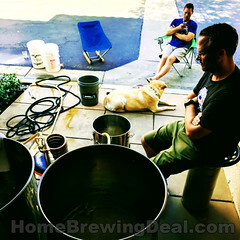 Thank you for visiting the Homebrewing Deal, home beer brewing blog!